Cracking down on anti-vaxxers may be easier than we thought. Compulsory vaccination laws may soon become the rule, not the exception. We think of vaccination as a hotly controversial issue, but what if eradicating exemptions isn’t nearly as tendentious a proposition as we’ve been led to believe? After a measles outbreak at Disneyland infected more than 100 people last winter, it seemed for a brief moment as if Americans were ready to crack down on their growing problem with anti-vaxxers—the people who put our herd immunity at risk by refusing to inoculate their kids. California passed a law banning religious and personal-belief exemptions to vaccination, becoming only the third state in the country to do so. Vermont did away with philosophical exemptions (though it left religious exemptions intact). More than two dozen other states introduced similar legislation. Then, the legislative push stalled, and people in the U.S. remained at risk for preventable diseases that less developed nations, such as China and Zimbabwe, are edging toward eliminating. We think of vaccination as a hotly controversial issue, one that, as Jamelle Bouie has written in Slate, unites organic-loving lefties with religious freedom–touting conservatives in a zealously American defense of personal liberty. But what if eradicating exemptions isn’t nearly as tendentious a proposition as we’ve been led to believe? That’s the suggestion of a new study from Columbia University’s Mailman School of Public Health, published in the journal Health Affairs. It suggests that requiring parents to bow to medical science—and to the greater good—might be politically tenable after all. The study’s authors examined the history of the two states that preceded California in banning religious and philosophical exemptions from vaccines: Mississippi and West Virginia. (All 50 states allow exemptions in cases in which a medical condition, such as an autoimmune disease, makes inoculation unsafe; 47 states allow religious exemptions, and 17 permit some form of exemption due to personal beliefs.) Even within the public health community, the study notes, many experts have argued that nonmedical exemptions should be maintained as a “safety valve”—that without this option, a handful of outspoken anti-vaxxers could be driven into “organized opposition, resulting in divisive, time-consuming battles that will erode trust in vaccines and public health more generally.” But the experiences of Mississippi and West Virginia, where vaccination has been compulsory for all but the medically exempt since 1979 and 1905, respectively, call the “safety valve” argument into question. “Health officials in both states report that overwhelming majorities of the public support their policies,” the authors write. “The political configuration of antivaccination advocacy,” they add, “looks much the same” as in other states. In other words, the lack of exemptions doesn’t seem to have fueled the opposition’s fire. Exemption policies matter because the data show that when parents have more wiggle room, vaccination rates go down. 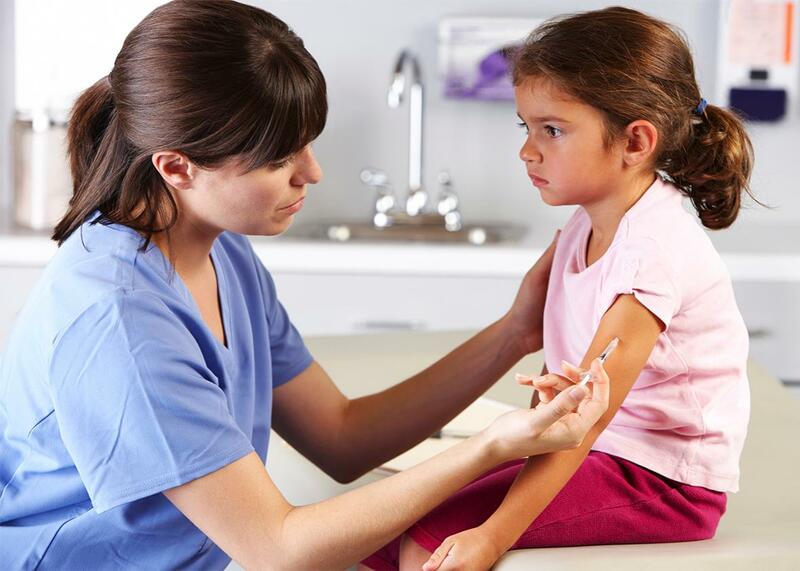 Mississippi and West Virginia rank first and fourth in kindergarten immunization rates. Colorado, where it’s notoriously easy to get a personal exemption, ranks last in the nation. Meanwhile, a dip of just a few percentage points in the overall inoculation rate can be enough to enable an outbreak and endanger anyone with a weak immune system. Although the California law won’t go into full effect until the beginning of the next school year, Wired has reported that the state is already seeing a decline in exemptions and a significant increase in vaccinations. At the same time, controversy about the new law, though present in the background, has been manageable. A repeal effort didn’t even make the ballot this past fall, garnering only 233,758 of the 365,880 signatures required. A Public Policy Institute of California poll showed broad support for the policy: Sixty-seven percent of California adults and 65 percent of public school parents said unvaccinated students should not be allowed in public schools. There are, however, ways to make eschewing vaccination harder without closing off religious exemptions altogether. The study’s authors suggest “requiring parents to receive educational counseling from a licensed health care provider” before they can qualify for an exemption—as Oregon, Washington, and Michigan have done—or forcing them to renew the privilege annually. “These may be more politically feasible solutions that also strengthen public health protection,” the authors write. As a piece in Quartz noted last year, measures such as “requiring a state’s health department to approve non-medical exemptions” have been shown to reduce the opt-out rate by as much as 1 percent—a number that sounds small but that may translate into thousands of individual cases. As Quartz reporter Akshat Rathi put it at the time, “There can be an upside to bureaucracy after all.” If politicians don’t have the courage to ban anti-vaxxers, at least they can try to confuse them away.